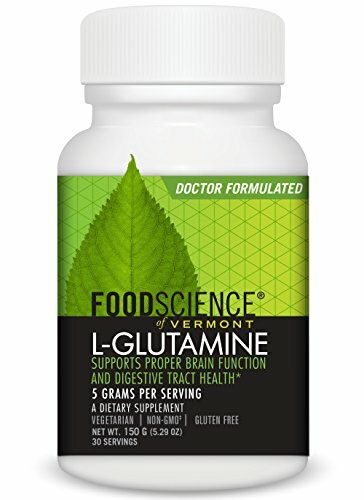 L-Glutamine from FoodScience of Vermont supports the maintenance of muscles, mental activity, immune response, proper mood balance, energy levels and digestive tract health. * Glutamine is the most abundant amino acid in the body and is involved in many metabolic processes. Glutamine is found in large amounts in the muscles and readily crosses the blood brain barrier to be used as fuel. There is an increased demand for glutamine during stress associated with heavy exercise, illness or trauma. * Glutamine also serves as fuel for intestinal mucosal cells. If you have any questions about this product by FoodScience of Vermont, contact us by completing and submitting the form below. If you are looking for a specif part number, please include it with your message.